All world-class businessmen, leaders and sportsmen have one thing in common: an unshakable level of focus to attain their desired results. This level of intense concentration is what most people refer to as being ‘in the zone’. It is a moment of perfect clarity, when every single muscle in the body is in complete synchronization with the mind to achieve a goal. Olympic sportsmen who have experienced this enlightening state will tell you that when they are ‘in the zone’, no conscious thought is involved. There is no allowance for any doubt or hesitation. The mind wills, and the body delivers. That, is the essence of being ‘in the zone’. Have you ever wished to be able to harness the full potential of your mind to effortlessly skyrocket your performance levels? Are you always wondering how some people have ‘what it takes’ to succeed, and how some people don’t? Do you often wish you could easily get ‘in the zone’ at your own command? 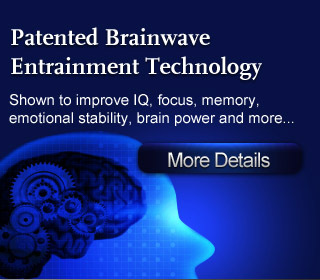 With today’s advanced technology, we can now virtually train our minds to reach that peak state of concentration as easily as it would take to press a button. The incredible boost in performance will leave the people around you amazed at your productivity levels. 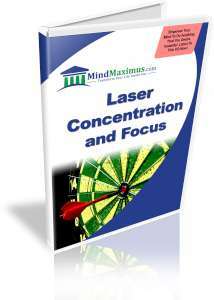 No reviews on B07 Laser Concentration And Focus so far.